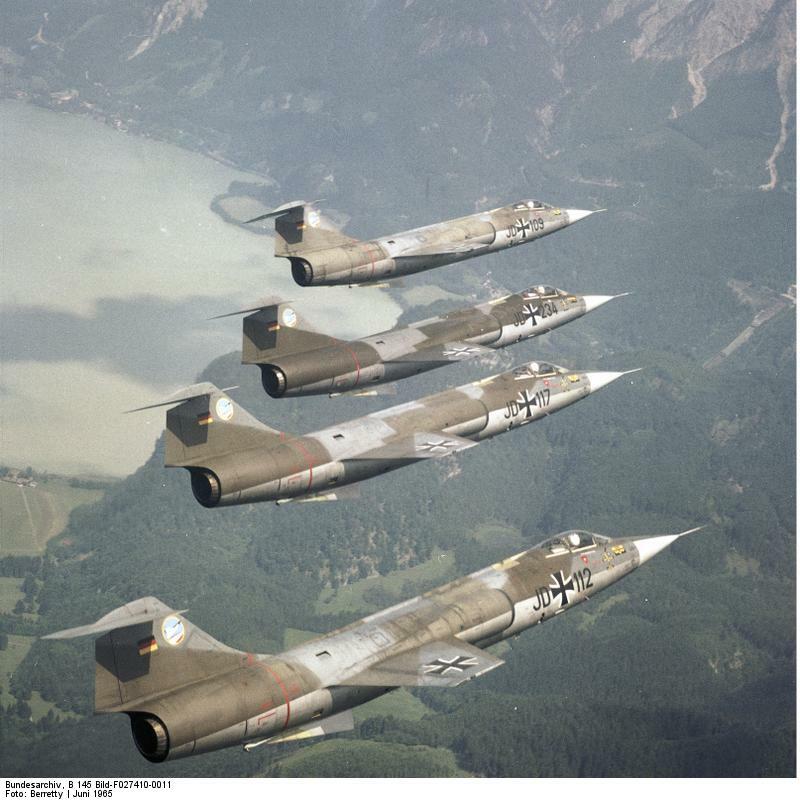 A decade after the end of World War Two West Germany joined NATO, One year later, in 1956 the German Air Force (as part of the Bundeswehr) was re-formed and was initially equipped with American aircraft. For the most part, like many air forces of the time, aircraft were natural metal. During the 1960s aircraft began to be camouflaged using paints from the RAL numbering system. Conveniently, an aircraft's whole camouflage scheme is described using a 'Norm' system which is appended with a number corresponding to a year when the camouflage scheme was introduced. When Norm 83 was introduced, the Luftwaffe began its transition to using American FS paint codes.